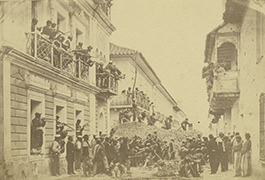 Latin America and the Caribbean: Photographs, Manuscripts, and Imprints provides a sample of the thousands of photographs relating to Latin America and the Caribbean held by SMU's DeGolyer Library. 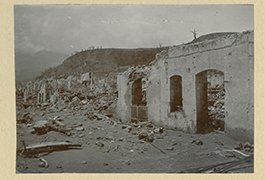 The digital collection portrays the landscape, people, and technology of various countries, including Costa Rica, Peru , Bolivia, El Salvador, and Cuba in the late 19th century, and includes a set of photos of St. Pierre, Martinique, before and after the eruption of Mt. 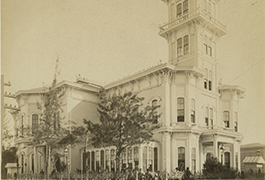 Pelee in 1902. 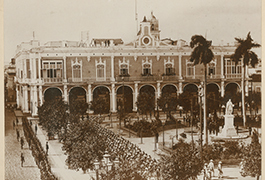 The DeGolyer Library also holds significant collections relating to Mexico, which are found in Mexico: Photographs, Manuscripts, and Imprints. 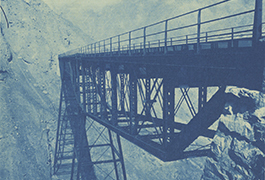 Photographs of Jamaica, Trinidad, and Venezuela containing 48 photographs of towns, harbors, people, railroads and 1896 maps of Caracas and Venezuela y Sus Ferrocarriles. 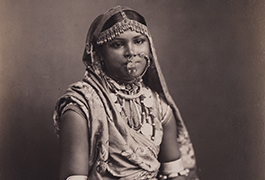 Also included are views of sugar cane fields and workers, a photographer with a view camera, plantation houses, workers from India in Jamaica, Spanish Town, Jamaica, and some formal studio portraits of Indian workers in Trinidad by Felix Morin. 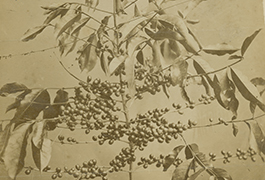 Latin America and the Caribbean: Photographs, Manuscripts, and Imprints is one of a family of digital collections from the DeGolyer Library that focuses on Texas, the U.S. West, Mexico, and Latin America.